Go Go Fun Fun! Join Us For The Cajun Heartland State Fair! 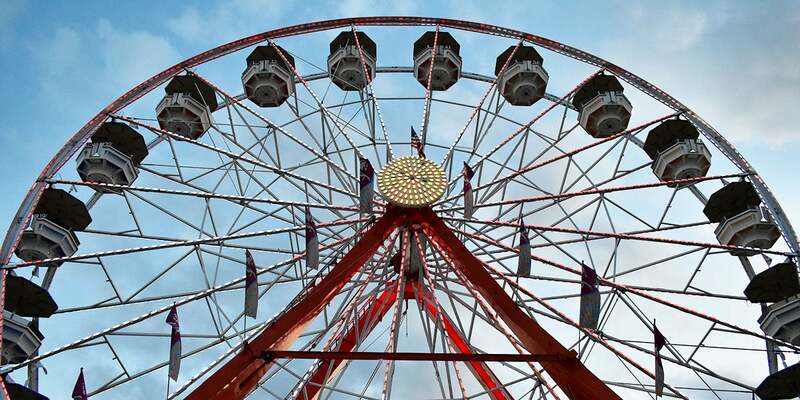 The Cajun Heartland State Fair is an eleven day fair produced by North American Midway Entertainment and the CAJUNDOME staff offering an exciting entertainment line-up and discount ride offerings that attract over 175,000. 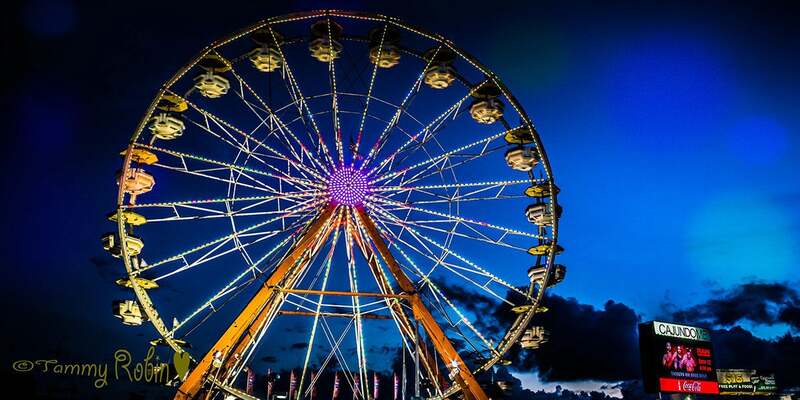 The 31st Annual Cajun Heartland State Fair scheduled for May 23 - June 2, 2019, will provide the best in family entertainment for children of all ages. North American Midway Entertainment will have numerous super rides such as the giant Ferris wheel, the NEW roller coaster the Bullet Train and the Blizzard! Games and free attractions such as the Show Me Safari Petting Zoo, World of Wonders and Texas Tommy's Wild West Revue will entertain everyone. Prizes and surprises await everyone at the Cajun Heartland State Fair. 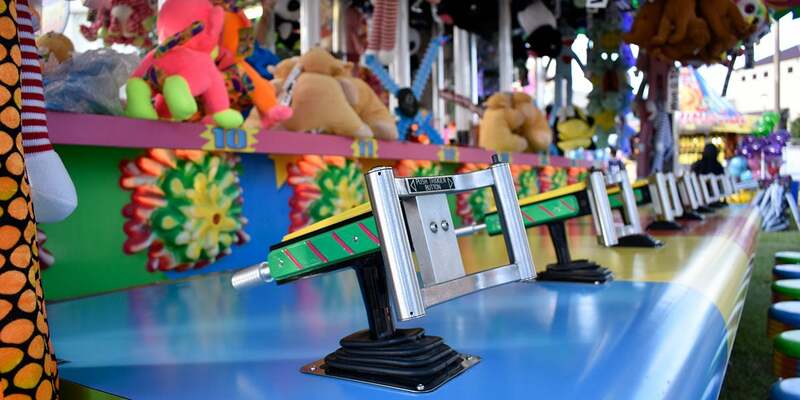 The Cajun Heartland State Fair is managed by an innovative and insightful team of professionals priding themselves on knowing the right mix of entertainment arranged to provide maximum enjoyment for all ages. The ride specials, food, free attractions and family oriented games make an outstanding summer experience. Truly, there is something for everyone to enjoy at the Cajun Heartland State Fair fairgrounds. Save Money When You Purchase in Advance! ShopRite Advance Half-Price Tickets – Purchase a sheet of 20 ride tickets for only $12.50 at participating Acadiana ShopRite locations! 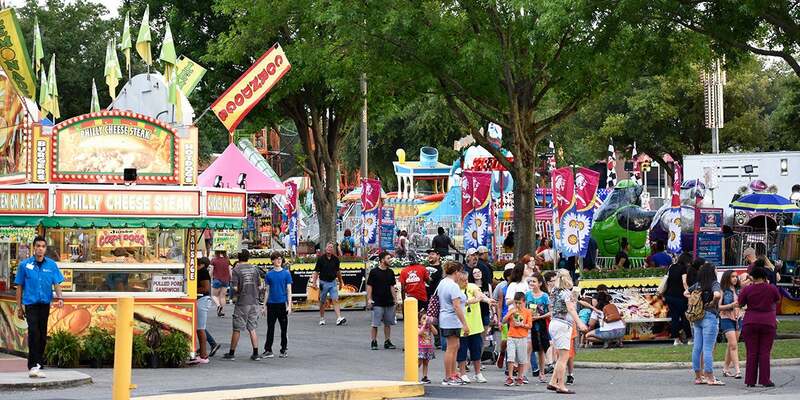 (No discount coupons accepted) Regular price of $25/sheet on the fairgrounds. Advance tickets will be sold starting Wednesday, May 1st @ 10AM through Friday, May 24th @ 5PM. Adv. Discount Memorial Day WB - Purchase a Memorial Day ride wristband in advance for only $20! (No discount coupons accepted) Wristband valid open to close on Monday, May 27 only. Advance Memorial Day Wristbands will be sold Wednesday, May 1st @10AM – Sunday, May 26th @5PM. Wristbands will be available for day of purchase at the $30 rate. Oulet to be announced soon. CAJUNDOME Mega Pass Special – Buy in bulk and save! The Mega Pass includes your choice of any 3 wristband days - for only $70* (No coupons allowed for redemption - limited supplies available). Mega Pass is sold at the CAJUNDOME BOX OFFICE & Ticketmaster.com only while supplies last. Monday, May 27: $20* Advance Sale Wristband - Oulet to be announced soon. * (no coupons allowed for redemption) & $30* Ride Wristband sold on fairgrounds day of. We invite you to have your Birthday Party at the CHSF on Saturday, May 25th, 2019 or Sunday, May 26th, 2019! Everyone at your Birthday Party will be able to ride the rides, pet all the animals at the Show Me Safari Petting Zoo, see the World of Wonder Show and more! *A minimum of 10 wristbands per group for discount. Register by May 20 to participate. Great rates & options for your corporate group offerings. Select a day were your company employees can get together and have a day filled with fun at the CHSF that they won't forget. *A minimum of 25 wristbands per group for discount. Please register by May 20. Wednesday, May 29th, 2019 from 10AM - 1PM we invite your Daycare or Summer Camp for an exclusive outing at the CHSF! The kids will be able to ride the ride, pet all the animals at the Show Me Safari Petting Zoo, see the World of Wonder Show and more! The Cajun Heartland State Fair is excited to introduce a new park attraction area, the Crawfish Village! Stop by and order some of the tastiest, juiciest crawfish straight from the crawfish capitol of the world, Breaux Bridge, prepared by the Crazy 'Bout Crawfish Cajun Cafe! Don't miss this brand new, fried food showcase happening on Saturday, June 1st at the Cajun Heartland State Fair. Ten local restaurants & caterers will be selling some wild and deep fried southern delicacies sure to tease your palette and leave you wanting more! More information coming soon! For information on how to register your restaurant as a vendor, contact Maaike at [email protected]. Local bands will compete in the CAJUNDOME Arena to become the best & win a great grand prize! Bands will have 15 minutes to play up to 3 original songs. Tickets only $10 and will go on sale soon online at Ticketmaster and at the CAJUNDOME Box Office! Following Battle of the Bands, don't miss a special show by Brother Dege! Grammy-nominated Brother Dege Legg (“Too Old to Die Young” from Quentin Tarantino’s Django Unchained )* is one of the best-kept secrets in the Deep South; a musician, writer, outsider artist, and heir to a long line of enigmatic characters birthed in swamplands of Louisiana. Brother Dege utilizes slide guitars, Delta blues, Dobros, and cinematic songwriting to conjure a new vision of the psychedelic Deep South. *“Too Old to Die Young” was handpicked by Quentin Tarantino for inclusion in the soundtrack to Django Unchained. 3:30PM Joe Bryson & Co. The 31st Annual Cajun Heartland State Fair and Ragin Crossfit have combined forces to put on a new event called Kettlebells4Kids on Saturday, May 25th, at the Fair. Right next to the best Midway in the state, we will enjoy a fun workout to raise more awareness & funds for Homeless Kids in Acadiana than we ever could alone! Join us Saturday, May 25th at 12 noon on the Cajun Heartland State Fair grounds for this great cause! Support our event by pre-reigstering to join our team and coming out on Saturday, May 25th for a fun workout with the team from Ragin Crossfit! You can also making a donation to our team and those participating in the workout. The process is fast, easy, and secure... and you can be sure that it will benefit a great cause! Dollars raised in our state will help provide active play and fitness equipment and programs to homeless kids living in shelters in our state! To join the squad click here to participate! All participants will be given free entry to the fair grounds and eligible for fun giveaways! Sponsorship opportunities available, please contact Adrienne Richard, 337-265-2390 for more information. The Cajun Heartland State Fair is currently accepting applications for outdoor Food & Merchandise Vendors for the Fair. All applications are reviewed by the Fair Committee and are not guaranteed participation until confirmed by the Fair Director. For more information and regulations, please see the application below.